Perfect for that special guy in your life. 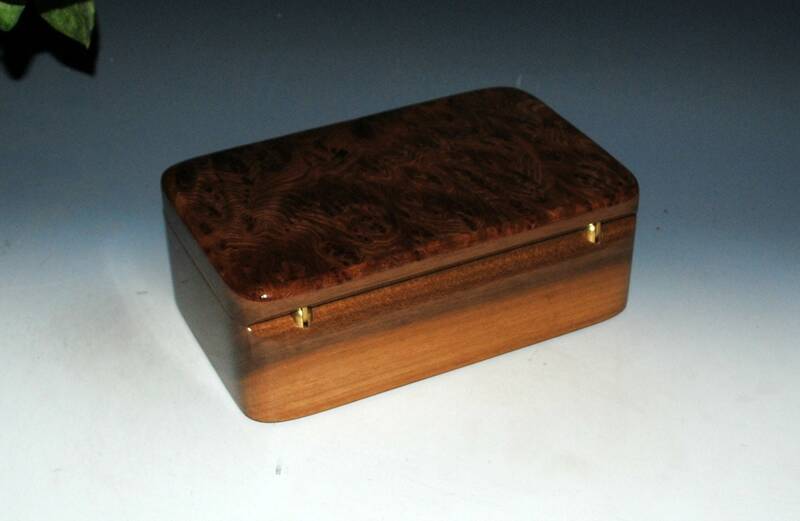 This is a very popular box style and wood combination with men. 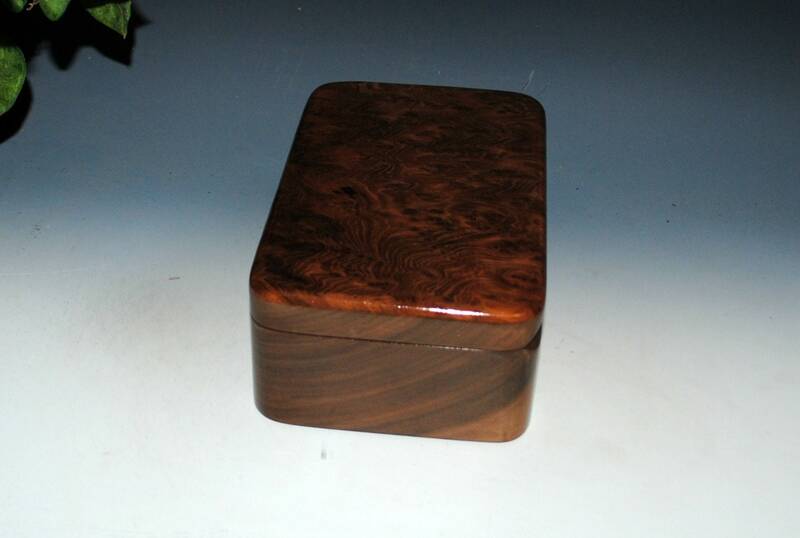 Redwood Burl on Walnut make a rich wood combination. 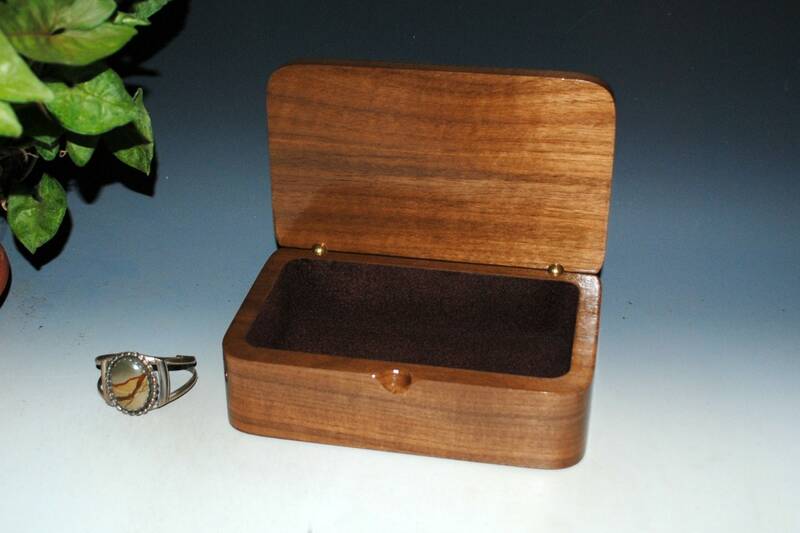 This box has ample room for larger treasures or also a great "stash box" for wallet, keys and other items. 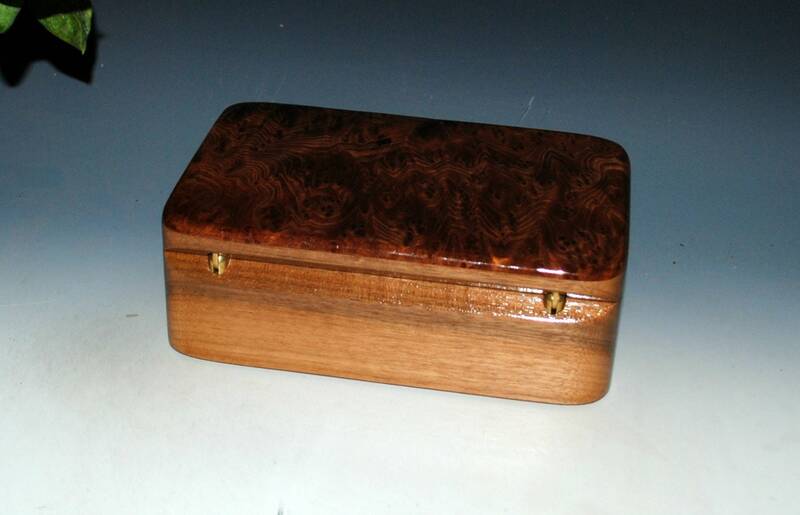 As with all our boxes, hand rubbed tung oil finish with polyurethane for better resiliency. 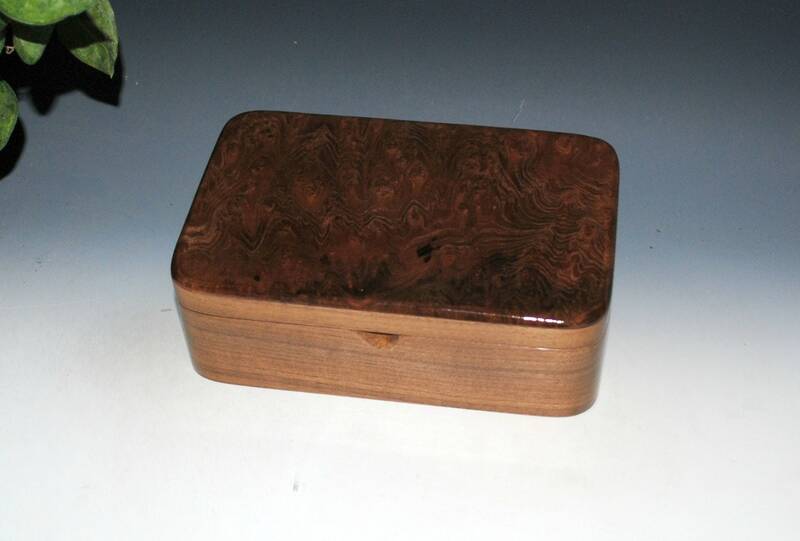 Many, many coats and days are needed to finish this box. 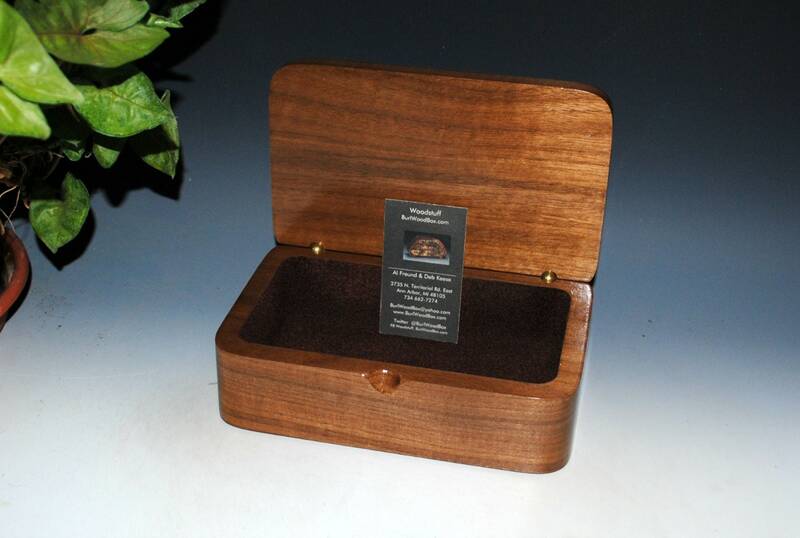 The box is lined with with blown in brown colored rayon suede-tex to compliment the walnut. 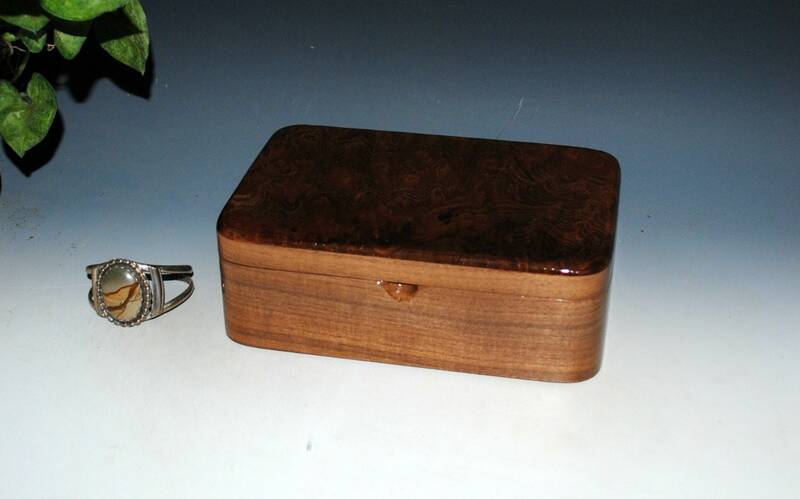 This box features our custom sized barrel hinge. The last photo shows how this hinge looks from the outside rear view. We utilize as much recycled or re-purposed material as possible when packing your box for safe shipment. Others need to contact us so we can determine an exact shipping cost. 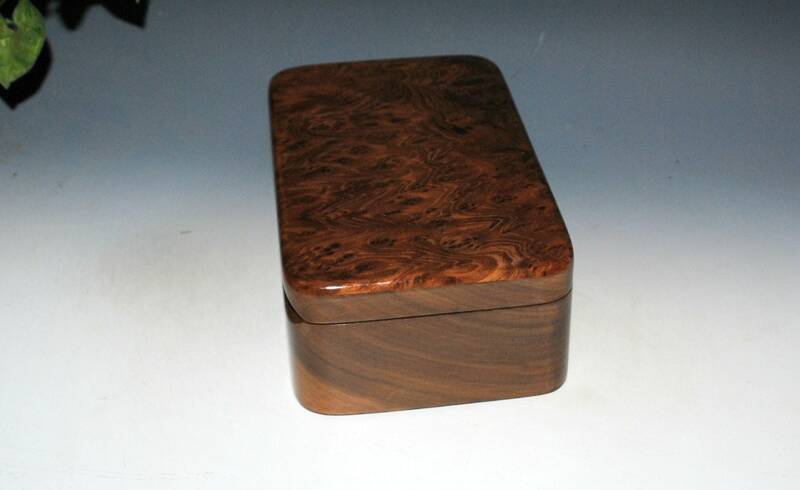 Additional styles of our boxes can be seen on our home page, link follows. 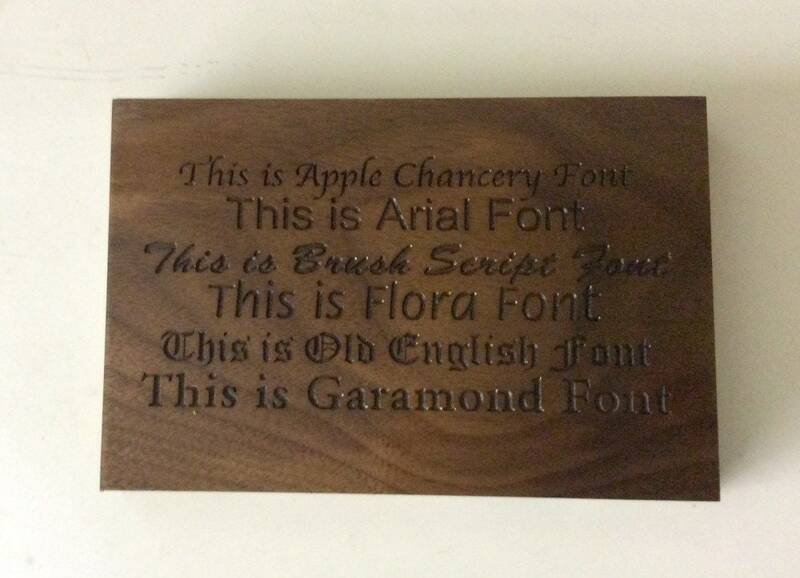 This is a beautiful, well-made box ... such a unique and special gift! 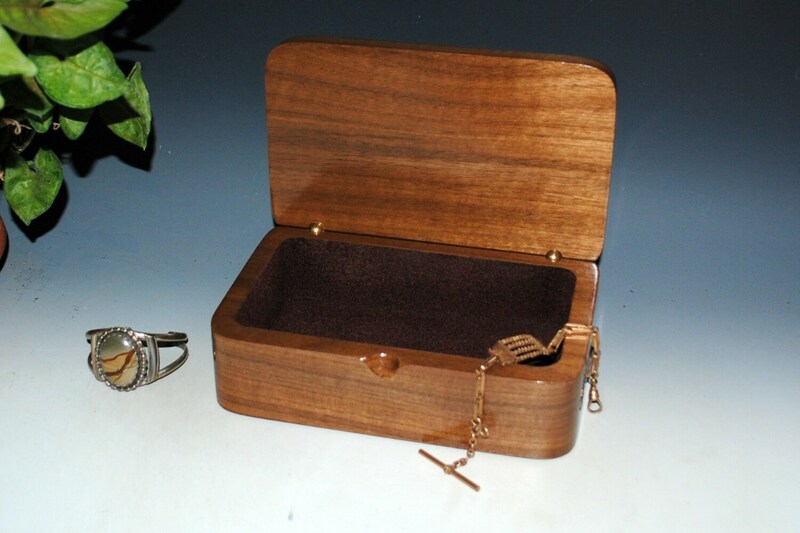 We ordered with little time to the event, and Deb responded quickly, finished the engraving and mailed the box within a day. The box was received well before we had to give the gift! I highly recommend this shop!